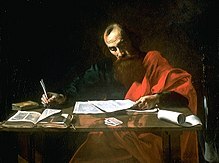 Paul was the first major figure in Christian history to hold that Jewish law is no longer valid. Supersessionism, also called replacement theology or fulfillment theology, is a Christian doctrine which asserts that the New Covenant through Jesus Christ supersedes the Old Covenant, which was made exclusively with the Jewish people. In Christianity, supersessionism is a theological view on the current status of the church in relation to the Jewish people and Judaism. It holds that the Christian Church has succeeded the Israelites as the definitive people of God or that the New Covenant has replaced or superseded the Mosaic covenant. From a supersessionist's "point of view, just by continuing to exist [outside the Church], the Jews dissent". This view directly contrasts with dual-covenant theology which holds that the Mosaic covenant remains valid for Jews. Supersessionism has formed a core tenet of the Christian Churches for the majority of its existence. Christian traditions that have traditionally championed Covenant Theology (including the Roman Catholic, Reformed and Methodist teachings of this doctrine), have taught that the moral law continues to stand. The Islamic tradition views Islam as the final and most authentic expression of Abrahamic prophetic monotheism, superseding both Jewish and Christian teachings. The doctrine of tahrif teaches that earlier monotheistic scriptures or their interpretations have been corrupted, while the Quran presents a pure version of the divine message that they originally contained. The word supersessionism comes from the English verb to supersede, from the Latin verb sedeo, sedere, sedi, sessum, "to sit", plus super, "upon". It thus signifies one thing being replaced or supplanted by another. The word supersession is used by Sydney Thelwall in the title of chapter three of his 1870 translation of Tertullian's Adversus Iudaeos. (Tertullian wrote between 198 and 208 AD.) The title is provided by Thelwall; it is not in the original Latin. Many Christian theologians saw the New Covenant in Christ as a replacement for the Mosaic Covenant. Historically, statements on behalf of the Roman Catholic Church have claimed its ecclesiastical structures to be a fulfillment and replacement of Jewish ecclesiastical structures (see also Jerusalem as an allegory for the Church). As recently as 1965 Vatican Council II affirmed, "the Church is the new people of God," without intending to make "Israel according to the flesh", the Jewish people, irrelevant in terms of eschatology (see "Roman Catholicism," below). Modern Protestants hold to a range of positions on the topic. In the New Testament, Jesus and others repeatedly give Jews priority in their mission, as in Jesus' expression of him coming to the Jews rather than to Gentiles and in Paul's formula "first for the Jew, then for the Gentile." Yet after the death of Jesus, the inclusion of the Gentiles as equals in this burgeoning sect of Judaism also caused problems, particularly when it came to Gentiles keeping the Mosaic Law, which was both a major issue at the Council of Jerusalem and a theme of Paul's Epistle to the Galatians, though the relationship of Paul of Tarsus and Judaism is still disputed today. Paul's views on "the Jews" are complex, but he is generally regarded as the first person to make the claim that by not accepting claims of Jesus' divinity, known as Christology, Jews disqualified themselves from salvation. Paul himself was born a Jew, but after a conversion experience he came to accept Jesus' divinity later in his life. In the opinion of Roman Catholic ex-priest James Carroll, accepting Jesus' divinity, for Paul, was dichotomous with being a Jew. His personal conversion and his understanding of the dichotomy between being Jewish and accepting Jesus' divinity, was the religious philosophy he wanted to see adopted among other Jews of his time. However, New Testament scholar N.T. Wright argues that Paul saw his faith in Jesus as precisely the fulfillment of his Judaism, not that there was any tension between being Jewish and Christian. Christians quickly adopted Paul's views. For most of Christian history, supersessionism has been the mainstream interpretation of the New Testament of all three major historical traditions within Christianity – Orthodox, Roman Catholic and Protestant. The text most often quoted in favor of the supersessionist view is Hebrews 8:13: "In speaking of 'a new covenant' [Jer. 31.31-32] he has made the first one obsolete." Justin Martyr (about 100 to 165): "For the true spiritual Israel ... are we who have been led to God through this crucified Christ." Hippolytus of Rome (martyred 13 August 235): "[The Jews] have been darkened in the eyes of your soul with a darkness utter and everlasting." Tertullian (c. 155 – c. 240 AD): "Who else, therefore, are understood but we, who, fully taught by the new law, observe these practices,—the old law being obliterated, the coming of whose abolition the action itself demonstrates ... Therefore, as we have shown above that the coming cessation of the old law and of the carnal circumcision was declared, so, too, the observance of the new law and the spiritual circumcision has shone out into the voluntary observances of peace." Augustine (354–430) follows these views of the earlier Church Fathers, but he emphasizes the importance to Christianity of the continued existence of the Jewish people: "The Jews ... are thus by their own Scriptures a testimony to us that we have not forged the prophecies about Christ." The Catholic church built its system of eschatology on his theology, where Christ rules the earth spiritually through his triumphant church. Like his anti-Jewish teacher, St. Ambrose of Milan, he defined Jews as a special subset of those damned to hell, calling them "Witness People": "Not by bodily death, shall the ungodly race of carnal Jews perish (..) 'Scatter them abroad, take away their strength. And bring them down O Lord". Augustine mentioned to "love" the Jews but as a means to convert them to Christianity. Jeremy Cohen, followed by John Y. B. Hood and James Carroll, sees this as having had decisive social consequences, with Carroll saying, "It is not too much to say that, at this juncture, Christianity 'permitted' Judaism to endure because of Augustine." Supersessionism is not the name of any official Roman Catholic doctrine and the word appears in no Church documents, but official Catholic teaching has reflected varying levels supersessionist thought throughout its history, especially prior to the mid-twentieth century. Supersessionist theology is extensive in Catholic liturgy and literature. The Second Vatican Council (1962–65) marked a shift in emphasis of official Catholic teaching about Judaism, a shift which may be described as a move from "hard" to "soft" supersessionism, to use the terminology of David Novak (below). Pope Pius XII held supersessionist views. By the death of our Redeemer, the New Testament took the place of the Old Law which had been abolished; then the Law of Christ together with its mysteries, enactments, institutions, and sacred rites was ratified for the whole world in the blood of Jesus Christ… [O]n the gibbet of His death Jesus made void the Law with its decrees fastened the handwriting of the Old Testament to the Cross, establishing the New Testament in His blood shed for the whole human race. At the Second Vatican Council, convened within two decades of the Holocaust, there emerged a different framework for thinking about the status of the Jews’ covenant. The declaration Nostra aetate, promulgated in 1965, made several statements which signaled a shift away from "hard supersessionist" replacement thinking which posited that the Jews’ covenant was no longer acknowledged by God. 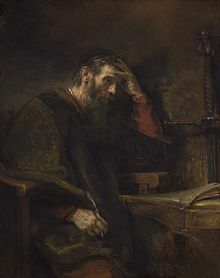 Retrieving Paul's language in chapter 11 of his Epistle to the Romans, the declaration states, "God holds the Jews most dear for the sake of their Fathers; He does not repent of the gifts He makes or of the calls He issues … Although the Church is the new people of God, the Jews should not be presented as rejected or accursed by God, as if this followed from the Holy Scriptures." Notably, a draft of the declaration contained a passage which originally called for "the entry of that [Jewish] people into the fullness of the people of God established by Christ;" however, at the suggestion of Catholic priest (and convert from Judaism) John M. Oesterreicher, it was replaced in the final promulgated version with the following language: “the Church awaits that day, known to God alone, on which all peoples will address the Lord in a single voice and ‘serve him shoulder to shoulder’ (Zeph 3:9).”. 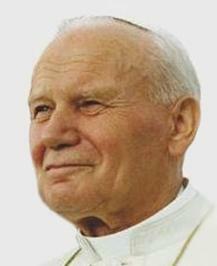 Pope John Paul II repudiated supersessionism. "[B]ecause as Christians we know that God's covenant with Israel by God's faithfulness is not broken (Rom 11,29; cf. 3,4), mission understood as call to conversion from idolatry to the living and true God (1 Thes 1,9) does not apply and cannot be applied to Jews…. This is not a merely abstract theological affirmation, but an affirmation that has concrete and tangible consequences; namely, that there is no organised Catholic missionary activity towards Jews as there is for all other non–Christian religions." Recently, in his apostolic exhortation Evangelii gaudium (2013), Pope Francis’s own teaching on the emphasized the communal heritage and mutual respect for each other. Similarly, the words of Cardinal Kasper, "God's grace, which is the grace of Jesus Christ according to our faith, is available to all. Therefore, the Church believes that Judaism, [as] the faithful response of the Jewish people to God's irrevocable covenant, is salvific for them, because God is faithful to his promises", highlight the covenantal relationship of God with the Jewish people, but differs from Pope Francis in calling the Jewish faith salvific. In 2011, Kasper specifically repudiated the notion of "displacement" theology, clarifying that the "New Covenant for Christians is not the replacement (substitution), but the fulfillment of the Old Covenant." The Church teaches that there is an integral continuity between the covenants rather than a rupture. In the Second Vatican Council's Lumen gentium (1964), the Church stated that God "chose the race of Israel as a people" and "set up a covenant" with them, instructing them and making them holy. However, "all these things…. were done by way of preparation and as a figure of that new and perfect covenant" instituted by and ratified in Christ (no. 9). Three prominent Protestant views on this relationship are covenant theology, New Covenant theology, and dispensationalism. Extensive discussion is found in Christian views on the Old Covenant and in the respective articles for each of these viewpoints: for example, there is a section within Dispensationalism detailing that perspective's concept of Israel. Differing approaches influence how the land promise in Genesis 12, 15 and 17 is understood, whether it is interpreted literally or figuratively, both with regard to the land and the identity of people who inherit it. Adherents to these various views are not restricted to a single denomination though some traditions teach a certain view. Classical covenant theology is taught within the Presbyterian and Continental Reformed traditions. Methodist hermeneutics traditionally use a variation of this, known as Wesleyan covenant theology, which is consistent with Arminian soteriology. In the United States, a difference of approach has been perceived between the Presbyterian Church and the Episcopal Church, the Evangelical Lutheran Church in America, and the United Methodist Church which have worked to develop a non-supersessionist theology. Paul van Buren developed a thoroughly nonsupersessionist position, in contrast to Karl Barth, his mentor. He wrote, "The reality of the Jewish people, fixed in history by the reality of their election, in their faithfulness in spite of their unfaithfulness, is as solid and sure as that of the gentile church." The Latter Day Saint movement rejects supersessionism. Judaism rejects supersessionism, only discussing the topic as an idea upheld by Christian and Muslim theologians. While some modern Jews are offended by the traditional Christian belief in supersessionism, a different viewpoint has been offered by Rabbi and Jewish theologian David Novak, who has stated that "Christian supersessionism need not denigrate Judaism" and that some subsets of Christian supersessionism "can affirm that God has not annulled his everlasting covenant with the Jewish people, neither past nor present nor future." In its canonical form, the Islamic doctrine of tahrif teaches that Jewish and Christian scriptures or their interpretations have been corrupted, which has obscured the divine message that they originally contained. According to this doctrine, the Qur'an both points out and corrects errors introduced by previous corruption of monotheistic scriptures, which makes it the final and most pure divine revelation. Sandra Toenis Keiting argues that Islam was supersessionist from its inception, advocating the view that the Quranic revelations would "replace the corrupted scriptures possessed by other communities", and that early Islamic scriptures display a "clear theology of revelation that is concerned with establishing the credibility of the nascent community" viz-a-viz other religions. In contrast, Abdulaziz Sachedina has argued that Islamic supersessionism stems not from the Quran or hadith, but rather from the work of Muslim jurists who reinterpreted the Quranic message about islam (in its literal meaning of "submission") being "the only true religion with God" into an argument about the religion of Islam being superior to other faiths, thereby providing theoretical justification for Muslim political dominance and a wider interpretation of the notion of jihad. Both Christian and Jewish theologians have identified different types of supersessionism in the Christian reading of the Bible. Punitive supersessionism is represented by such Christian thinkers as Hippolytus, Origen, and Luther. It is the view that Jews who reject Jesus as the Jewish Messiah are consequently condemned by God, forfeiting the promises otherwise due to them under the covenants. Economic supersessionism is used in the technical theological sense of function (see economic Trinity). It is the view that the practical purpose of the nation of Israel in God's plan is replaced by the role of the Church. It is represented by writers such as Justin Martyr, Augustine, and Barth. These three views are neither mutually exclusive, nor logically dependent, and it is possible to hold all of them or any one with or without the others. The work of Matthew Tapie attempts a further clarification of the language of supersessionism in modern theology that Peter Ochs has called "the clearest teaching on supersessionism in modern scholarship." Tapie argued that Soulen's view of economic supersessionism shares important similarities with those of Jules Isaac's thought (the French-Jewish historian well known for his identification of "the teaching of contempt" in the Christian tradition) and can ultimately be traced to the medieval concept of the "cessation of the law" - the idea that Jewish observance of the ceremonial law (Sabbath, circumcision, and dietary laws) ceases to have a positive significance for Jews after the passion of Christ. According to Soulen, Christians today often repudiate supersessionism but they do not always carefully examine just what that is supposed to mean. Soulen thinks Tapie's work is a remedy to this situation. ^ Tertullian, Adversus Iudaeos (in Latin) = An Answer to the Jews trans. S. Thelwall, (Edinburgh: T&T Clark, 1870). ^ Fonrobert, Charlotte Elisheva. "Jewish Christians, Judaizers, and Christian Anti-Judaism." A People's History of Christianity, Volume 2: Late Ancient Christianity. Ed. Virginia Burrus. Minneapolis, MN: Fortress Press, 2005. ^ Thomas),, Wright, N. T. (Nicholas. Paul : a biography (First ed.). New York, NY. ISBN 9780061730580. OCLC 988858994. ^ Lewis, Bill. "Sons of Issachar for the 21st Century." Google Books. 2 July 2014. ^ Justin Martyr, Dialogue With Trypho 11, in Ante-Nicene Fathers 1:200. ^ Hippolytus, Treatise Against the Jews 6, in Ante-Nicene Fathers 5.220. ^ Augustine, The City of God 18.46, in Nicene and Post-Nicene Fathers 2:389. ^ Michael, Robert (2011). A history of Catholic antisemitism : the dark side of the church (1st Palgrave Macmillan pbk. ed.). New York: Palgrave Macmillan. ISBN 978-0230111318. Retrieved 9 February 2015. ^ Jeremy Cohen, 'Introduction', in Jeremy Cohen (ed. ), Essential Papers on Judaism and Christianity in Conflict: From Late Antiquity to the Reformation, (New York: New York University Press, 1991), 13–14. ^ John Y. B. Hood, Aquinas and the Jews, (Philadelphia: University of Pennsylvania Press, 1995), 12f. ^ James Carroll, Constantine’s Sword: The Church and the Jews, (Boston: Houghton Mifflin, 2001). ^ Michael, Robert (2011). A history of Catholic antisemitism : the dark side of the church (1st Palgrave Macmillan pbk. ed.). New York: Palgrave Macmillan. p. 219. ISBN 978-0230111318. Retrieved 9 February 2015. ^ John T. Pawlikowski, Jesus and the Theology of Israel, (Michael Glazier, 1989), pp. 10-11. ^ "Second Declaration on the Jews and Non-Christians, 28–29 September 1964," qtd. in Philip A. Cunningham et al (eds. ), The Catholic Church and the Jewish People (Fordham, 2007), p. 195. ^ John Connelly, From Enemy to Brother: The Revolution in Catholic Teaching on the Jews, 1933-1965 (Harvard, 2012), p. 254. ^ a b Pontifical Biblical Commission, “The Jewish People and their Sacred Scriptures” (2002). ^ Mary Boys, Philip Cunningham, and John T. Pawlikowski, “Theology’s Sacred Obligation”, America (Oct. 21, 2002), pp. 12-16 at p. 14. ^ “Reflections by Card. Walter Kasper", Boston College, 6 November 2002. ^ "It also cannot be said that the covenant with Israel has been replaced by the New Covenant. The New Covenant for Christians is not the replacement (substitution), but the fulfillment of the Old Covenant. Both stand with each other in a relationship of promise or anticipation and fulfillment…[T]he New Covenant is the final reinterpretation promised by the prophets of the Old Covenant. It is the definitive yes and amen to all of God's promises (2 Cor 1:20), but not their suspension or abolition." Cardinal Walter Kasper, "Foreword" in Christ Jesus and the Jewish People Today (Eerdmans, 2011) pp. x-xviii at p. xiv. ^ Commission for religious relations with the Jews. "Guidelines And Suggestions For Implementing The Conciliar Declaration "Nostra aetate" (n. 4)" www.vatican.va (Rome, 1 December 1974). ^ Rodes, Stanley J. (25 September 2014). From Faith to Faith: John Wesley’s Covenant Theology and the Way of Salvation. James Clarke & Co. pp. 7, 62–76. ISBN 9780227902202. ^ Bretton-Granatoor, Gary M. "The Presbyterians’ Judaism problem." Jewish Journal. 27 June 2014. 27 June 2014. ^ According to the Book of Mormon, during his post-resurrection visit to the Americas, Christ tells his audience "[F]or behold, the Lord remembereth his covenant unto [the Jews], and he will do unto them according to that which he hath sworn." Kessler, Orin (2012-07-30). "People of the Book". Foreign Policy. Retrieved 2013-04-18. ^ Esra Akay Dag (2017). Christian and Islamic Theology of Religions: A Critical Appraisal. Taylor & Francis. p. 91. ^ Journal of the Evangelical Theological Society 44 (2001): 442. ^ Tapie Aquinas on Israel and the Church. Aguzzi, Steven D. "Israel, the Church, and Eschatological Hope: Moltmann's Millenarianism and the Jewish-Catholic Question." PhD Dissertation. Duquesne University, 2014. Look up supersessionism in Wiktionary, the free dictionary. Michael Forrest and David Palm, "All in the Family: Christians, Jews and God", Laywitness magazine, July–August, 2009. An article opposing "extreme" supersessionism and dual covenant theology. "Why Catholics for Israel?" an article by Catholics opposing supersessionism.